Cross Canada Hop: Happy Everything Part 2! Hello everyone! 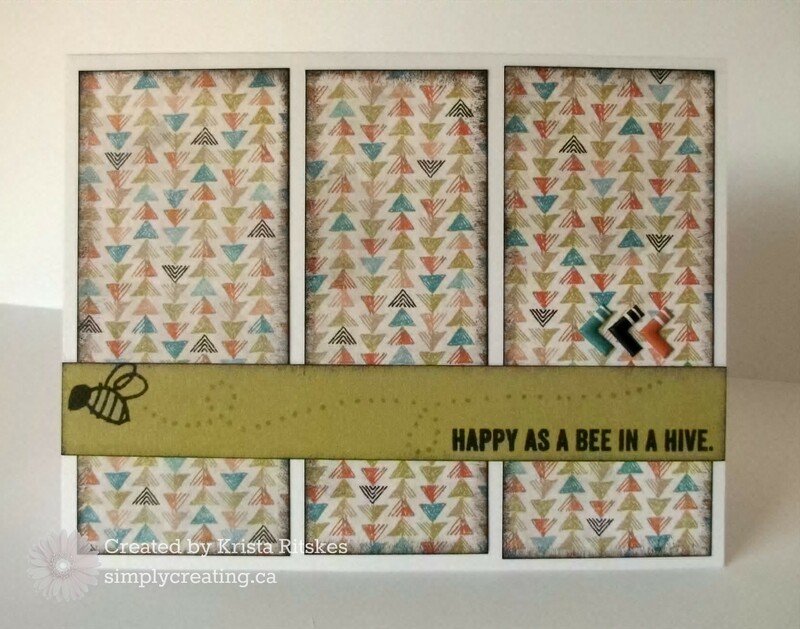 It’s time for the Cross Canada Blog Hop where we get to focus on the Happy Everything stamp set again. If you arrived here from Dominque, you’re on the right track. If you’ve just hopped on my blog here and would like to literally hop across our great country, just pop over to Michelle’s blog. She’s also got the full list of hoppers. This stamp set is so much fun and has so much potential, for both cards and layouts. Here it is again. I love the sentiments. I know they will make the recipient smile when I give them my cards. And I can picture a layout with that “Oh my happy” sentiment, along with the bee, using photos of my kids playing with, well, just about anything. For now, we will focus on cards. Here are the last three I created for my card club this month. 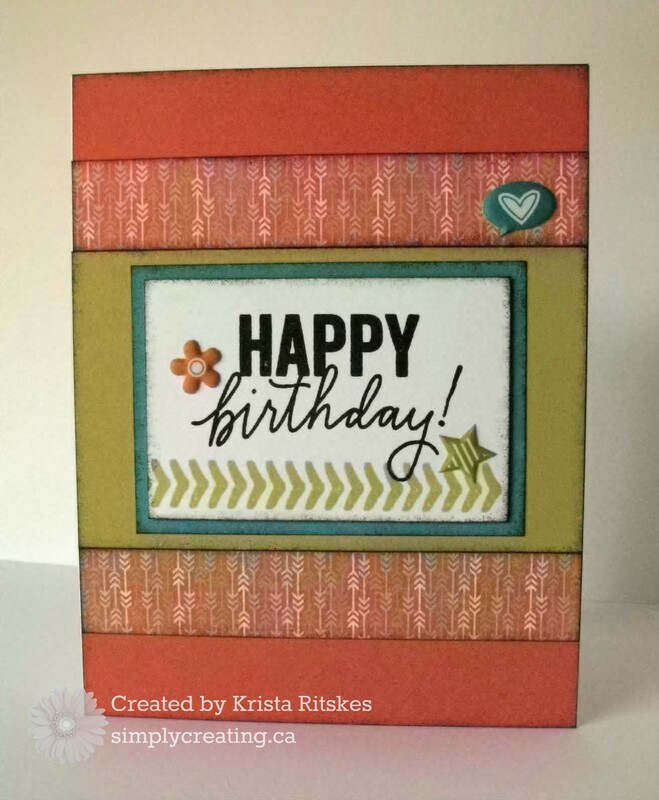 Again, these were created with just this stamp set, the Chalk It Up paper and Assortment. I again added some sponging with Black ink. If you would like to create your own cards, you can purchase a download of the instructions here. The instructions include cutting measurements, full-colour photos as well as detailed instructions and tips. Now, hop on over to Sheri’s blog to see more lovely artwork created with this stamp set that supports Operation Smile. And if you’d like to order your own set, contact your independent consultant. Remember, $3 is donated to Operation Smile each time someone purchases this set. Help us help Operation Smile give kids their smiles back. Fabulous trio of cards. 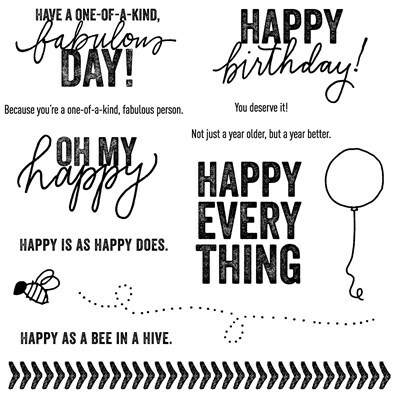 I really love this stamp set, it is very versatile with recipients. Great cards! I am sure your card club enjoyed making them.